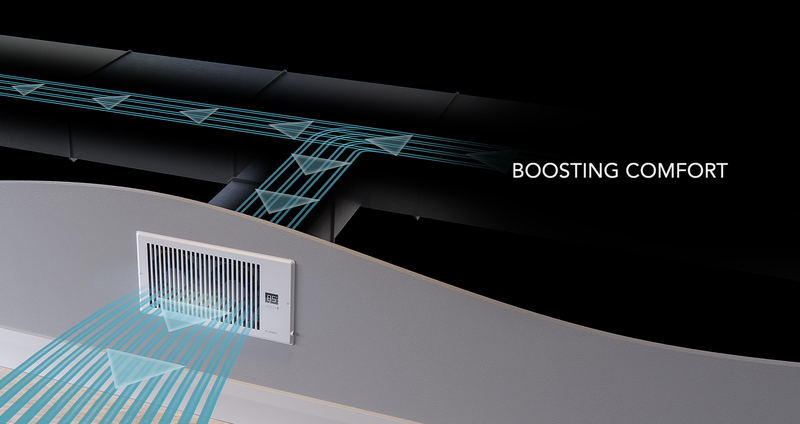 The AIRTAP register booster fan is designed to quietly increase airflow coming from your central heat and air conditioning systems, increasing comfort for your home. The system utilizes stator-blade fans with a high static pressure rating, engineered to deliver airflow for applications such as ductwork where air movement is being restricted. Features a thermal controller with intelligent programming that will automatically adjust airflow strength in response to heating and cooling temperatures you have set.